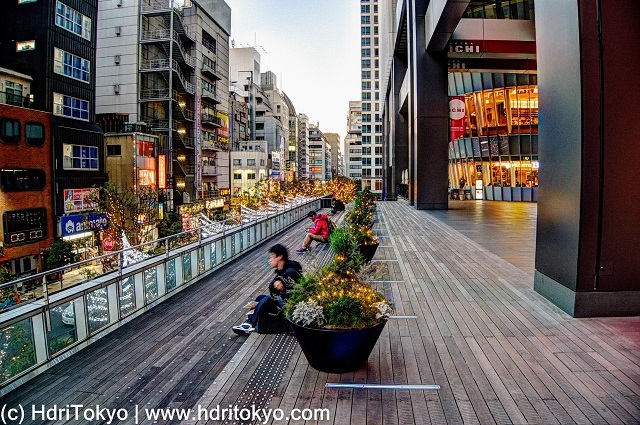 Akihabara UDX is a high-rise complex building built in 2006. There is a relaxed atmosphere on the wood deck. 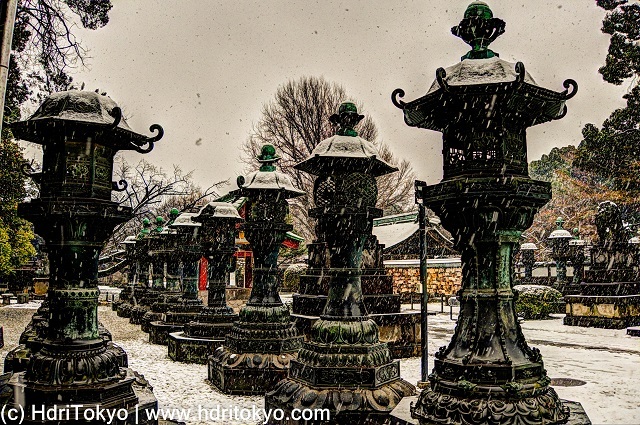 I went to Ueno Toshogu Shrine on a snowy morning in order to take photos of winter peonies in the snow. I got to the shrine around nine, but the peony garden in the shrine open at nine thirty. Befor the garden open, I walked around the shrine, and I had a different impression to when I had ever visited there. There were a few visitors in the shrine. 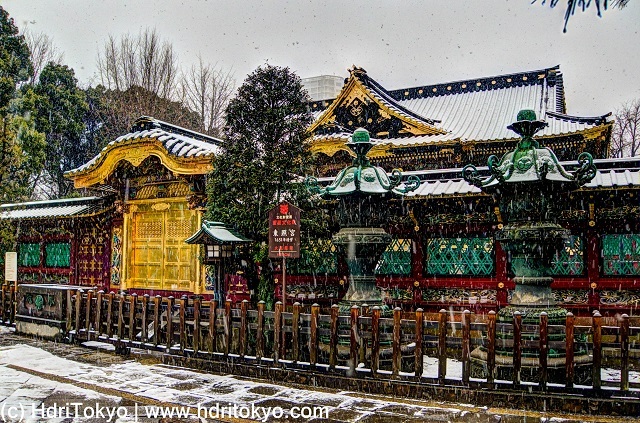 In the snow, structures and the approach of the shrine were far more beautiful and fantastic than I had anticipated. 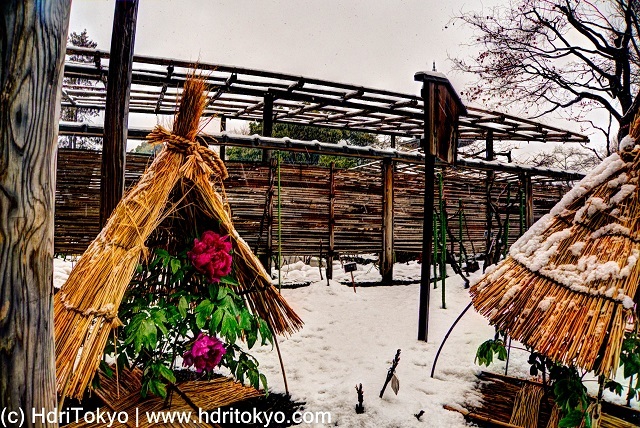 You can see my other articles about Ueno Toshogu shrine and its peony garden from the links below. 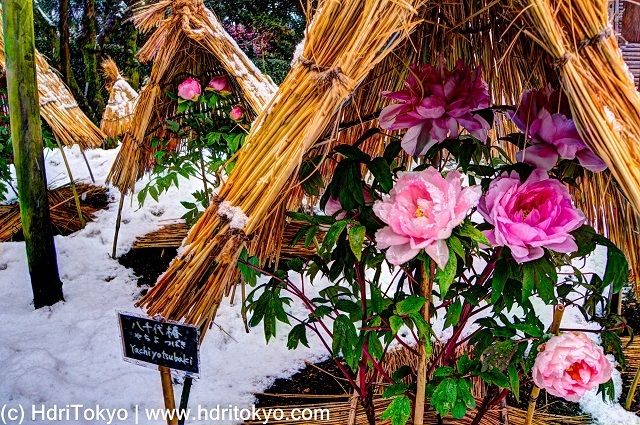 Winter peonies having a snowy day at the peony garden of Ueno Toshogu shrine. 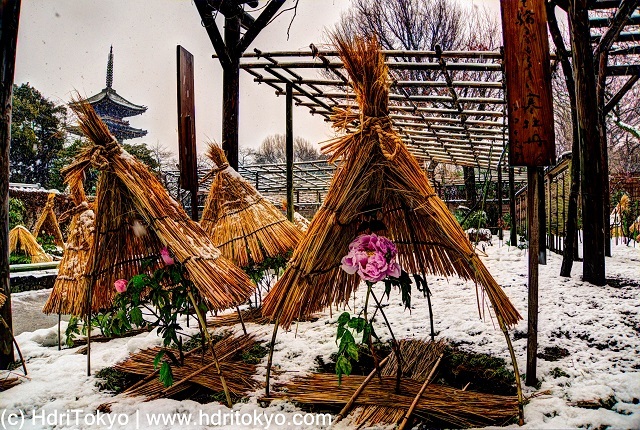 Those peonies are protected by traditional winter shelters weaved from rice straw.